Disclamier: This might lead to a permanent lost of your data. 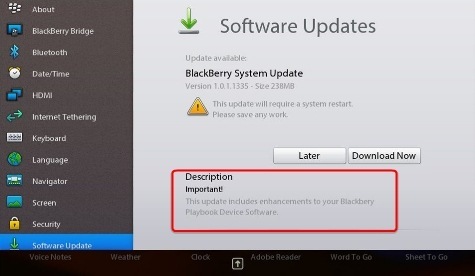 In other words, you are adviced to backup your blackberry data with a pc. 3. The check box for the currently installed version is selected in the Available Versions list. Click the Install button. 5. Click the Install update button. Note: The main advantage on performing a clean reload on a Blackberry OS device is that it speeds the device.